Today, 26th June 2017 Apple Released the new version of iOS 11 for selected devices. It is strange because they only release the beta versions with similar names, but now they named the new update as iOS 11 beta 2 Update 1. The new update is mainly targeted on older devices like iPad 12.9, iPhone 5S and iPhone SE because some people reported that they had some issues when downgrading from iOS 11 to iOS 10. When they try to downgrade from iOS 11, it will be stuck in the recovery mode. In the latest update, they fixed this issue along with an update of iOS 11 public beta 1 for beta testers. Now everyone can easily test the iOS 11 for free. Just a small warning, In the new version of the public beta, it still has lots of bugs, so think before you install. It may affect your usability, and it will slow down your phone. Also, iOS 11 is slower than the other versions especially when opening applications. 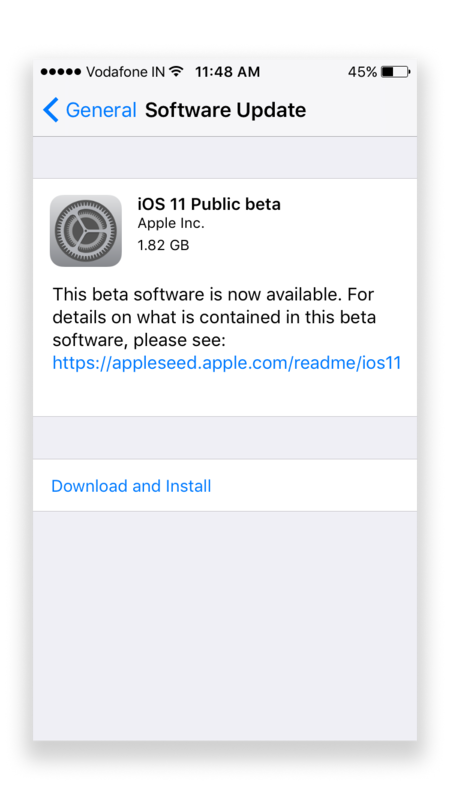 There is also an another Public Beta is available to us that is the iOS 10.3.3 Public Beta 4. 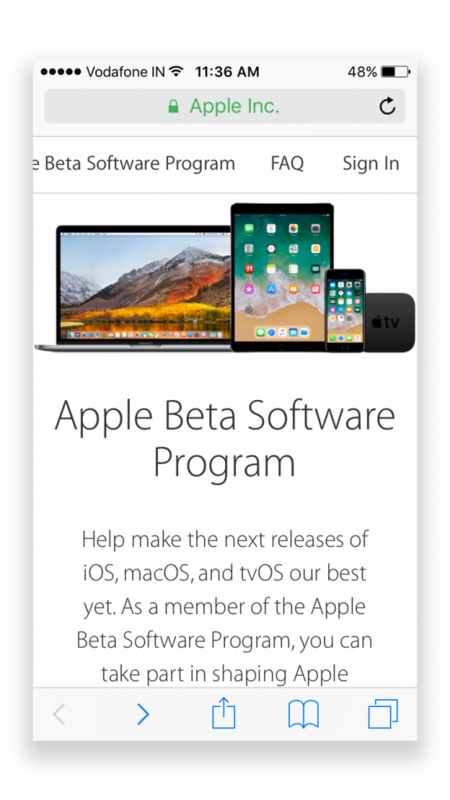 If you are looking to install developer beta then we also have an article about how to install iOS 11 Developer Beta for free, you can find it on our blog. Now let’s start with the iOS 11 public beta installation. 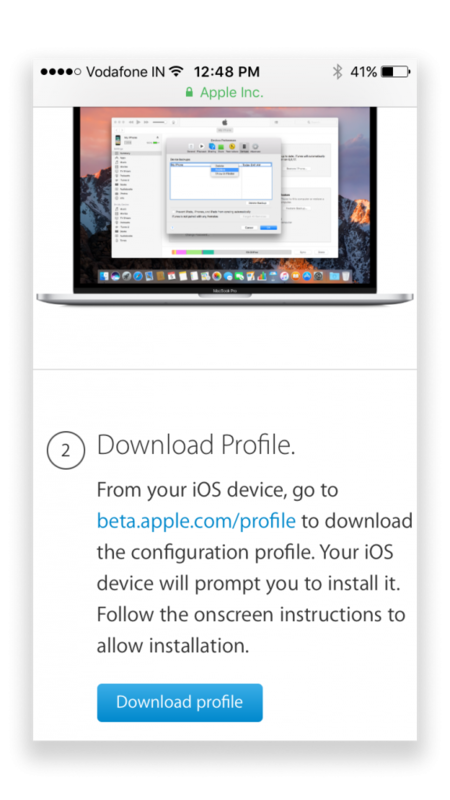 Just follow the steps below to install iOS 11 on your devices. iOS 11 Public Beta installation is straightforward. Follow the below steps correctly. From the web page, you can see the sign-up option along with a sign-in option. If you already registered for the public beta, then you can sign-in by using your Apple ID. 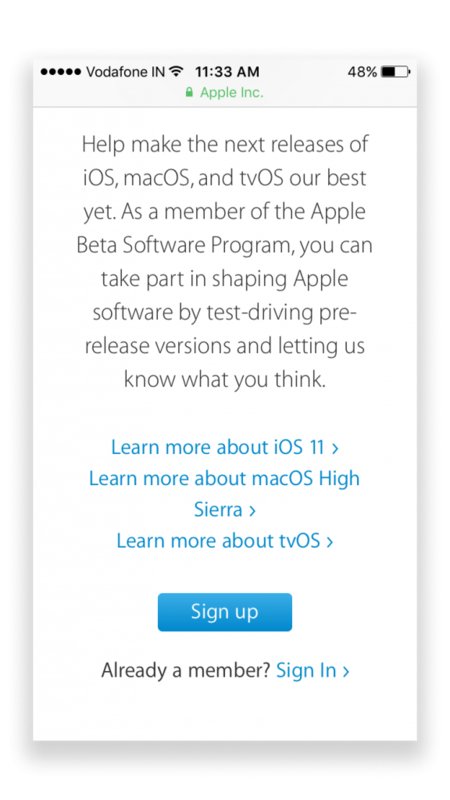 If you hadn’t registered, then you can register for public beta using your Apple ID. Here you can find a page like this. Now you need to enroll your device to do that just click on ‘Enroll Your Devices.’ You can get this option on the top bar of the web page, or you can find it on the Get started section of the web page. After you click on the ‘Enroll Your Devices’ Link, it will take you to another page, from here you can download the beta Profile. Scroll all the way down until you find the ‘download profile’ button. Click on it. When you click on the ‘download profile’ button, it will take you to the settings page of your phone. 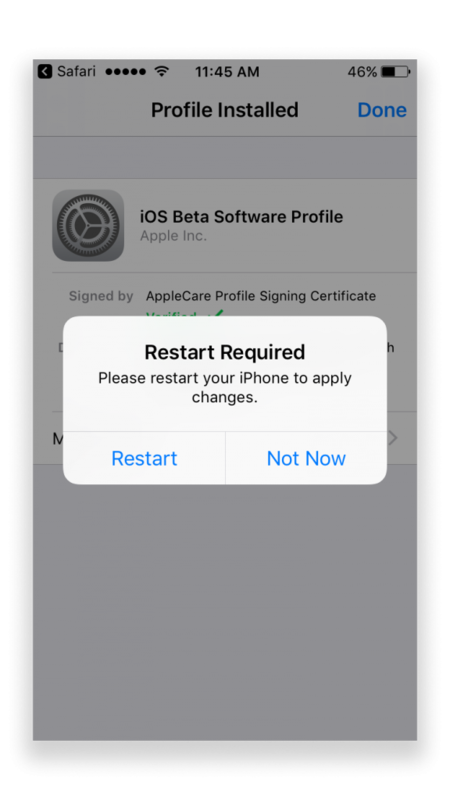 Then it shows an installation screen click on ‘install.’ After the installation, you should restart your phone to activate the profile. Now you can see the latest public beta is available to download. Click on the ‘download and install button’. After the download has finished, the phone will ask you to install it, click on the ‘install.’ Now it begins the installation process. The installation process may take some minutes to complete. After the installation completed, you can find the version number of your iOS right from your about page in settings. Note: If you have less battery life on your phone, charge your phone before you start the installation. In the end, you have the latest version of iOS 11 installed on your phone. Remember that information I mentioned above. You will feel slow in performance due to the beta version installed on your phone also, battery life will be a terrible thing in the beta version. If you change your mind and need to go back to the previous version, then we can help you with an article about how to downgrade iOS 11 to iOS 10, feel free to read. If you still have something to tell us then leave us a comment below. Have a Great day.